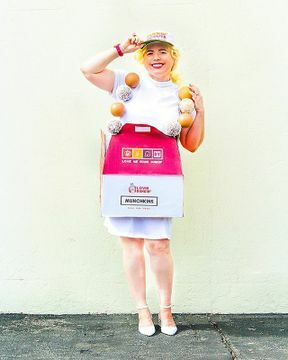 Through the years, we’ve seen lots of amazing Halloween costumes inspired by our donuts, coffee, lattes and more. This year, our donuts are all dressed up for Halloween with spooktacular new names and designs, and we are asking you to join in on the fun! Now through October 31, we are we are hosting a Halloween costume contest, giving you the chance to be featured on the Dunkin’ Donuts Times Square Billboard in New York City. Share your Dunkin’ costume on Instagram using special hashtag #DDCostumeContest. One grand prize winner will also receive $2,500 and a year’s supply of coffee! Need some DIY Halloween costume inspiration? Check out the video below with step-by-step instructions to see how our friend Aww Sam brought Dunkin’ iced coffee to life for her Halloween costume this October. Add inflatable donut over the straw and voila! 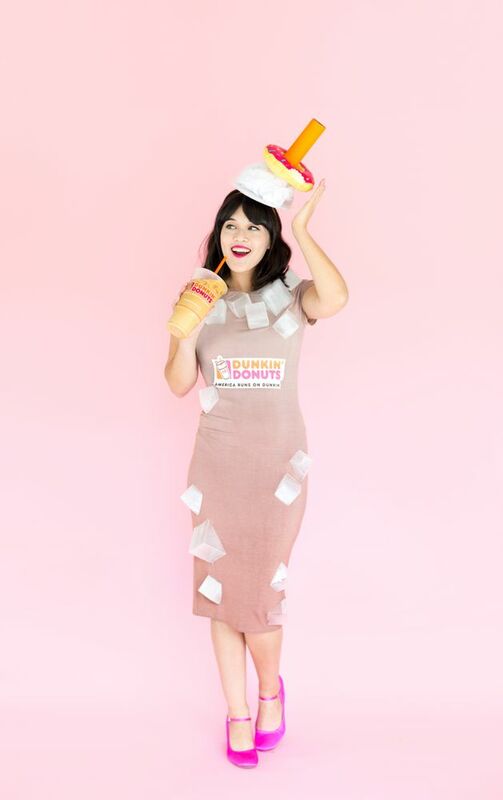 And sure to share your Dunkin’-inspired costumes on Instagram using #DDCostumeContest!